Increasingly, we want to know where our food comes from. We want to know how are food is being produced, whether it is sourced organically and ethically. We want to see our food being presented in new and creative ways—particularly with the growing trend of food photography. Consumption, in every sense, has taken on new meaning. 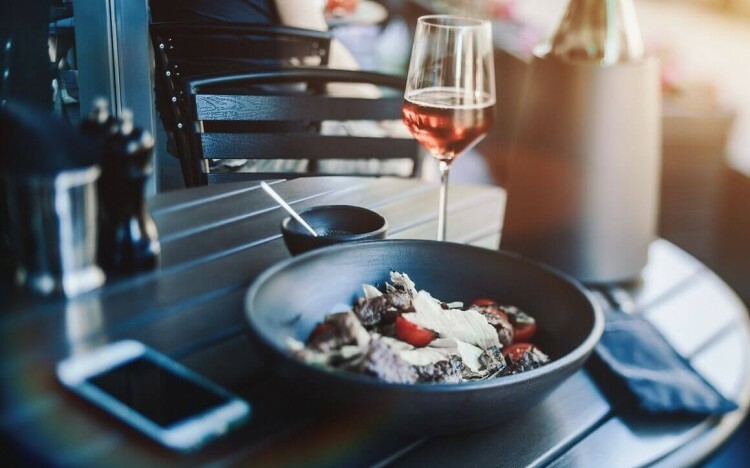 For the luxury food and wine industry, these considerations are everything, ensuring that the nature and presentation of the product is as important as the quality of what they are serving. In France, this has always been the way. At French luxury business school, Sup de Luxe, students can now take an MBA in Luxury Food and Wine Management, learning the skills of an industry which is both innovative and lucrative. “France has an undeniable image of the French art of living,” proclaims Thibaut de La Riviere, director of Sup de Luxe. Paris, where the school is based, is at the center of this. While the food and wine industry is growing considerably, the emphasis for Thibaut is “qualitative not quantitative.” The sheer volume and saturation of businesses makes it even more important to understand the hallmarks of luxury business. This was the thinking behind the MBA program, as told by Alice Darmon in 2018, lecturer for the program—to aid understanding and business development in the culture of gastronomy and oenology which is booming in, but not limited to, France. Alice, a lawyer by training and formerly running her own marketing consultancy company, is now a senior lecturer for the MBA. Her role pays due diligence to the rich history of food and wine in Paris and France. “It is an important symbol of our soft power,” Alice imparts. French food and wine has a strong global brand. As a result, Alice explains, the industry is rich in opportunities: whether this is in production, retail, management, marketing, purchasing, or communications. The industry even promises well for entrepreneurs. Startups like Winc—a wine club which pairs users’ tastes to a monthly selection—are testament to this. Winc started in 2012 and now ships around one million glasses a month to its members. The Sup de Luxe MBA in Luxury Food and Wine Management takes students through the academic and practical sides of the industry. Students can opt to take the program over one or two years, depending on the level they are at. On the academic side, it is crucial that students have a solid understanding of the culture and its history as the foundation to their studies, understanding the important trends and brands which have brought food and wine to where they are today. This is all part of comprehending the French ‘art of living’ to which Thibaut refers. The course takes students through aspects of management, including luxury communications and operations management, as well as personal development to develop soft skills such as public speaking and networking. Students also explore growing industry trends like veganism and gluten-free diets. For Sup de Luxe, building an MBA program around food and wine was necessary not just for the innovation of these industries, but also by the sheer weight which the luxury food and wine industry now commands. They have a combined value of $1.16 trillion, growing at a rate of 5%, according to Bain & Company. While Sup de Luxe is building a pool of professionals for the business end of the sector, it is Alice who ensures everything comes back to food and wine—this is what distinguishes the program from a traditional MBA.